NDU admission list for 2018/2019 academic session is out. 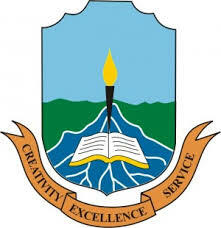 In other words, the management of Niger Delta University (NDU) have released the admission list of candidates offered admission for the session. The first batch NDU 2018/2019 admission list has been uploaded on the school website. Therefore, all candidates who have applied for can now check their admission status. This is the NDU batch 1 admission list. The management of Niger Delta University, Wilberforce Island, Bayelsa State hereby notifies candidates who applied for admission about the release of 2018/2019 admission list. Candidates can now proceed to check their admission status and proceed with their online clearance. Firstly, go to NDU admission portal at https://clearance.nduportal.com. Find and click on the ‘Check Admission Status’ tab. ACCEPT or REJECT the admission offer on JAMB CAPS Portal. See how to Reject/Accept Admission on JAMB CAPS. In conclusion, we congratulate all candidates who have their names on the first batch admission list of Niger Delta University (NDU).